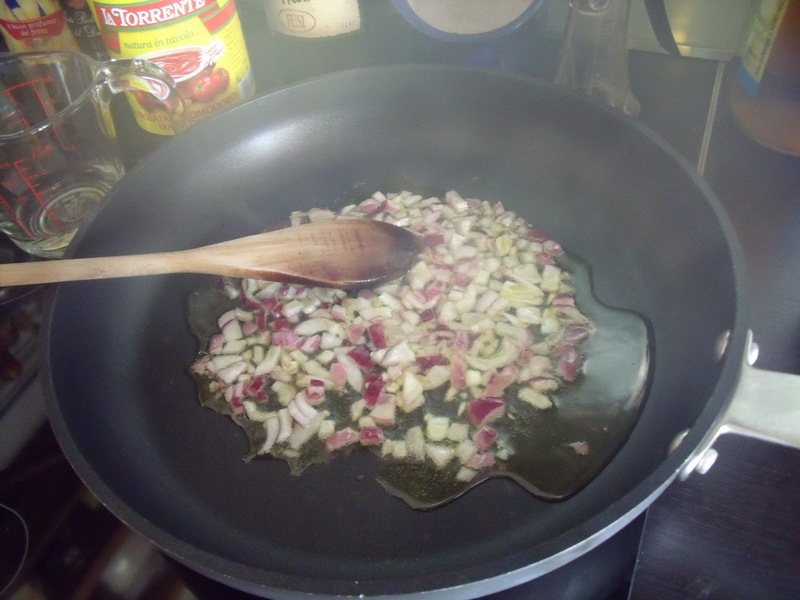 what's cooking in my tuscan kitchen: have you got 10 minutes? 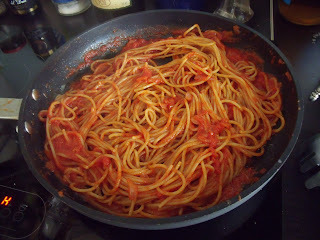 if you do, you can make a quick and delicious tomato sauce! have you got 10 minutes? 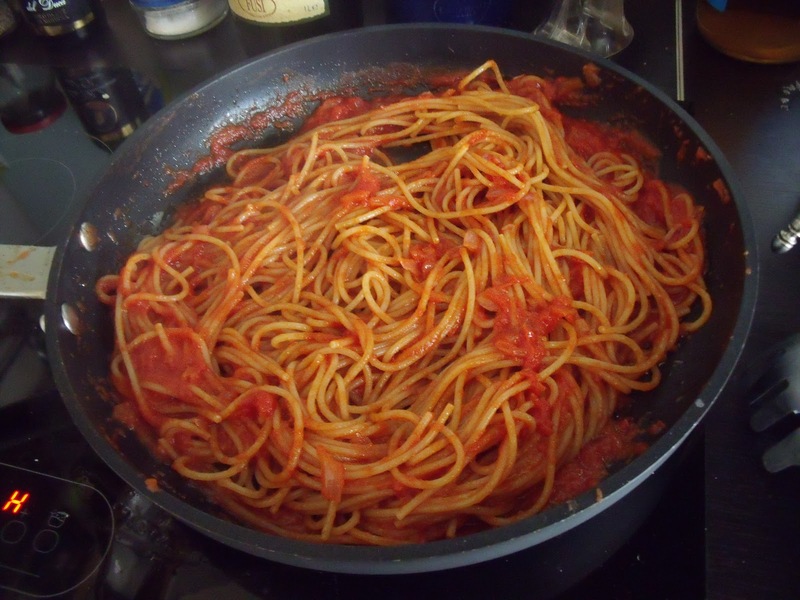 if you do, you can make a quick and delicious tomato sauce! I am a member of this great social network for needlework crafters (mostly knitters and crocheters) - Ravelry. 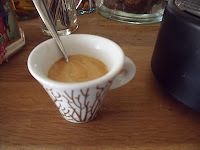 I mostly read the Italian group forums and there one is dedicated to cooking and it is bilingual. Someone from the States commented she wanted to make her sauce from scratch but would have to make do with the bottled stuff. Ndr: I made a few cosmetic corrections, I am sure AT will not mind! She is right on target!! People it is time to dispel that stereotype of Italian women – very rotund, their hair in a bun, wearing an apron and wielding a huge wooden spoon! Italy has moved ahead into the XI century (thank goodness) and most Italian women today are quite slender and stylish and MODERN, especially in the kitchen...although the wooden spoon remains! Which brings me to the title of my post! 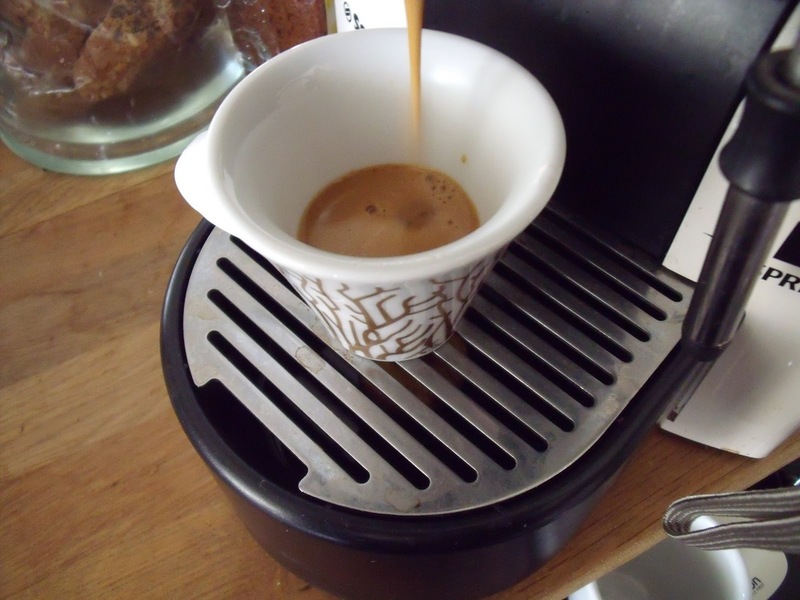 I, like most Italian women (after 23+ years I believe I can consider myself part of the group!) have a very busy life and I juggle a job, a home, a family, several hobbies just like many of you do! However, this does not mean I can't make delicious, nutritious meals in those snippets of time I have available! 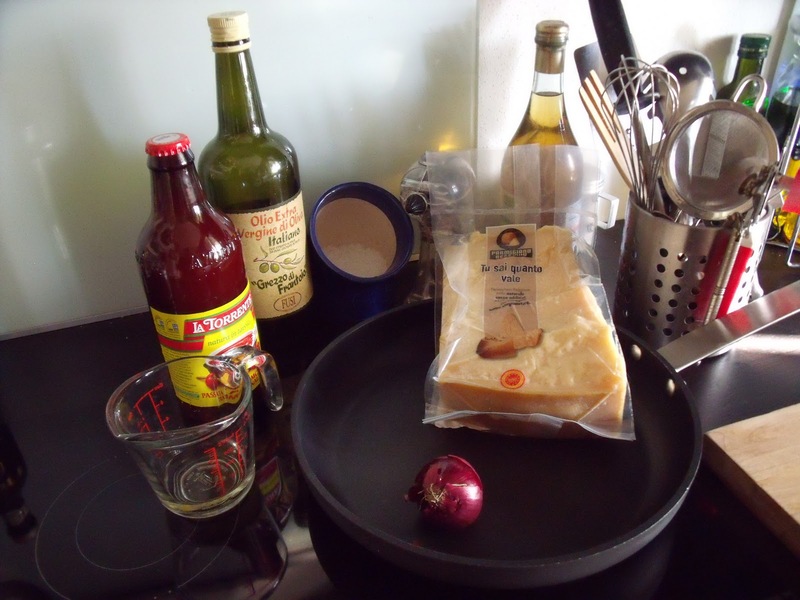 Today's recipe is for Orlando's 10 Minute Tomato Sauce. Orlando is my good friend's husband. He is the head cook and bottle-washer in his home. His grandfather had a trattoria (home-style eatery) in Piazza Bernardini, Lucca many years ago. 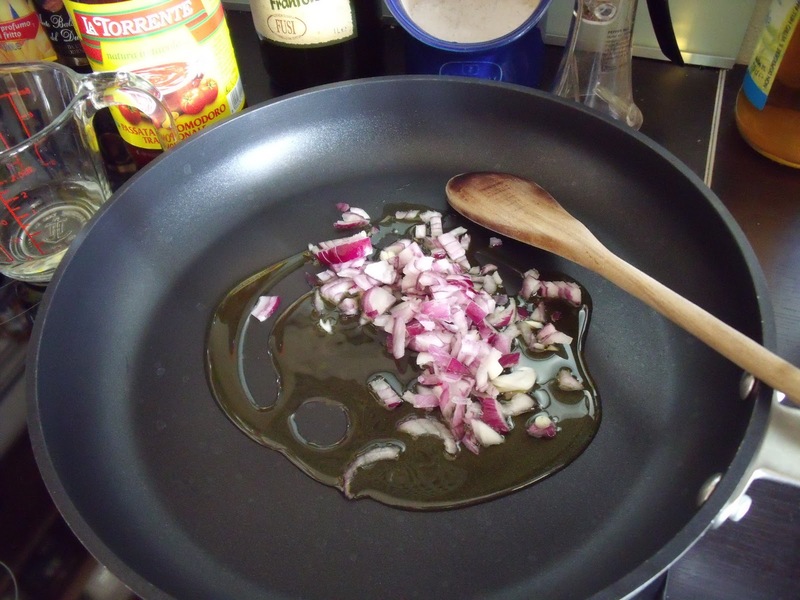 Once when we had stopped over for a short visit which became a long visit, he invited us to dinner and whipped up this sauce, which I thought was delicious and quickly added to my "10 minute meal repertoire". By the way for you vegetarians.. no meat here, just a bit of parmesan cheese which you may do without if you absolutely must! 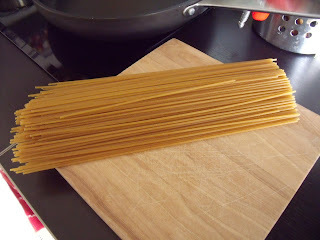 Today I am using whole wheat spaghetti, but regular durum wheat pasta works fine. It can be long pasta (spaghetti, bucatini, fedelini, vermicelli, etc) or short pasta (rigatoni, penne, rotini, etc). I measure out 180 grams (a little over 6 oz) for my husband and I - as you know, in Italy pasta is not a side dish, it is the main part of the midday meal! Ok - so put your water on to boil and then start the sauce. 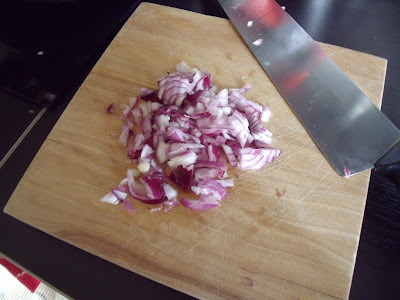 Cut up the onion the way you like it - in rings, slices or coarsely chopped (which is how I do it). Heat the oil over medium high heat and sauté the onion until it is soft and translucent, but not browned; don’t let the onion burn or your sauce will be bitter! Add a splash or two of dry white wine and let the alcohol "sfumare" or evaporate. Add your tomato sauce and when it starts to boil lower the heat to medium low. 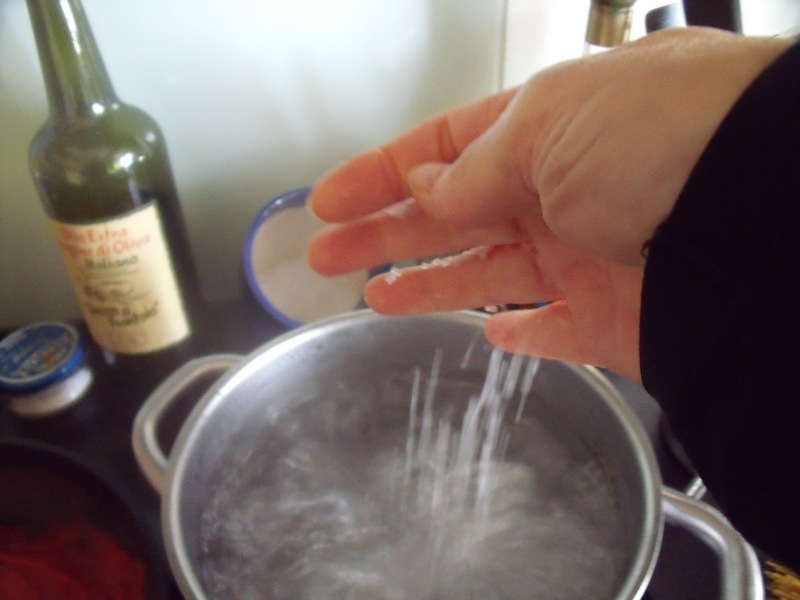 At this point your water should be boiling so salt it (never salt the water before it comes to a boil - why? bohhhh! that would be "Who knows?" in English, but I am sure there is a good reason!) 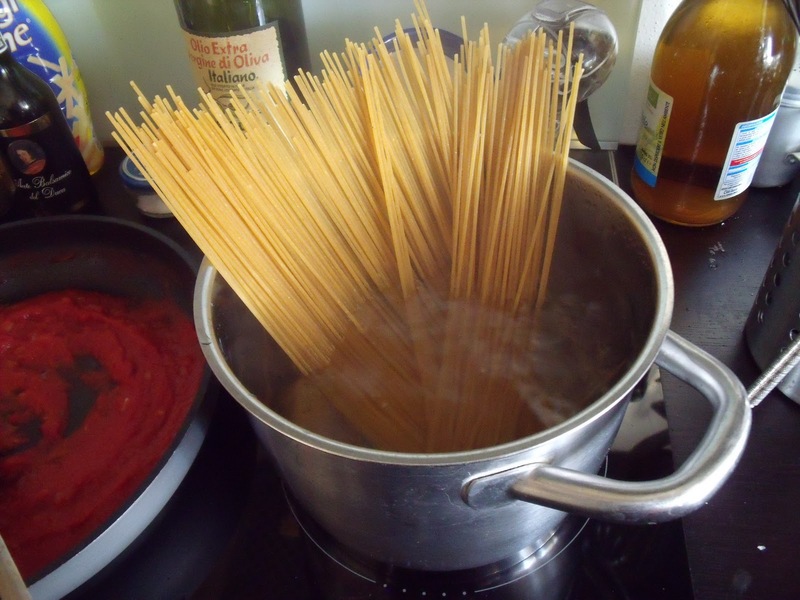 and put the pasta in to cook. 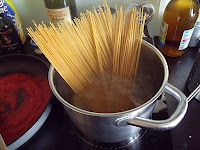 I set my timer for 2 minutes less than the cooking time indicated on the package, then I taste it and if it is still not the way we like it I let it cook another minute (no throwing the spaghetti against the fridge to see if it’s cooked, where in the world did that idea come from? I’d like to know!) - we like our pasta al dente! When the pasta is cooked the way you like it, drain it and add it in the fry pan with the sauce. Turn the heat up to high and "far saltare" the pasta so that the sauce coats all of the the pasta.. 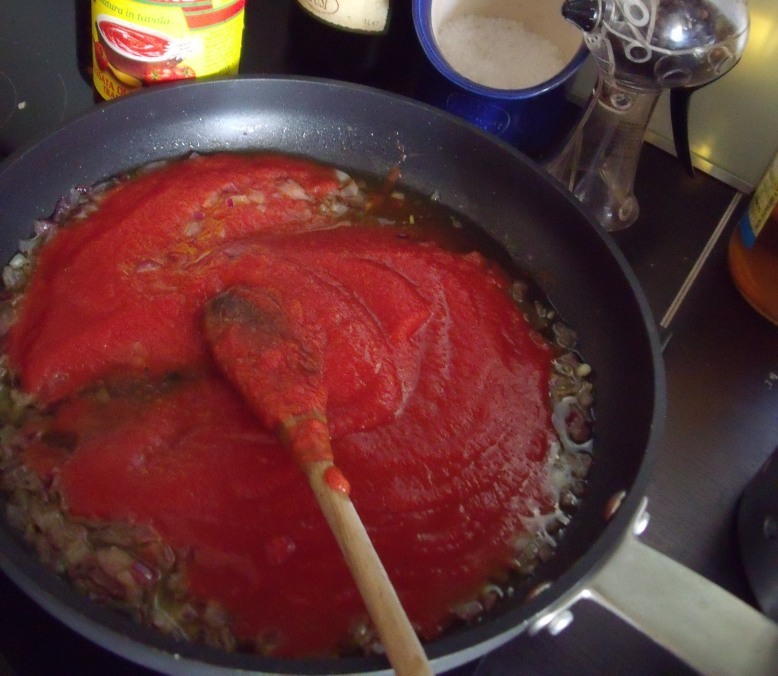 Here I would like to dispel another myth - Italian Italians, as opposed to American Italians, do not eat their pasta swimming in tomato sauce! They want that nutty flavor of the pasta to come through. 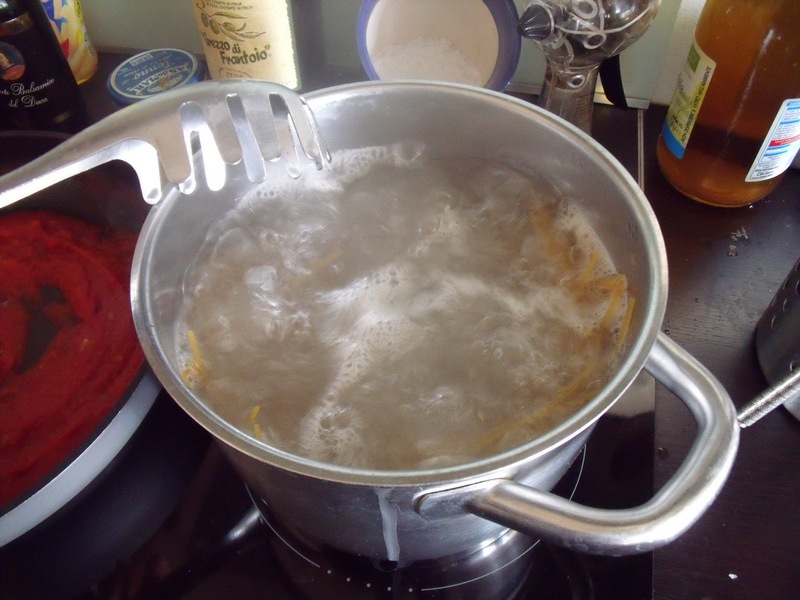 So don't drown your pasta in sauce! 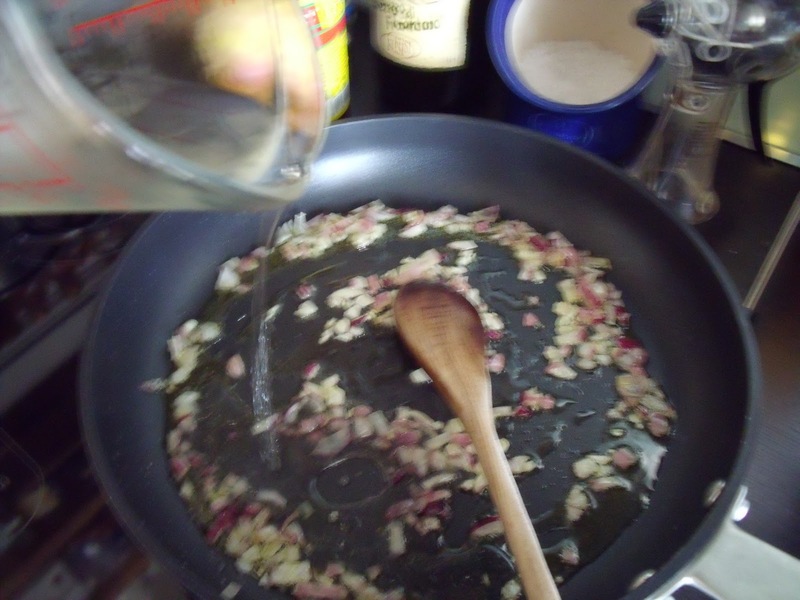 Serve with grated parmesan cheese and a drizzle of extra virgin olive oil, if you like. There you have it! 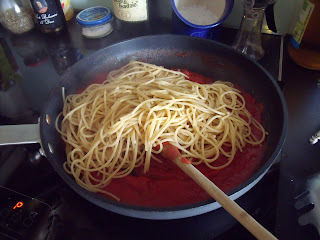 a delicious pasta dish ready from start to finish in about 10-15 minutes, depending on how fast you are in the kitchen! We round this meal out with some low fat cheese, a tossed salad and fresh fruit. and as Julia would say, had she spoken Italian! Sounds great, can I throw a few of those mushrooms into the sauce too ? of course you can throw in some mushrooms! Cooking should never have to follow set rules... after years of cooking one learns that the best recipes are the result of much "tweaking"! !